Orkney is a top quality destination for food and drink lovers. 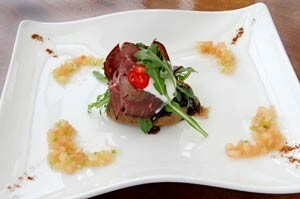 Orkney’s beef, holmy lamb, salmon and shellfish are second to none. 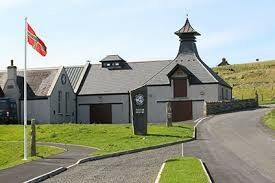 Orkney also produce world class whisky, beer, shortbread, cheese and even wine. 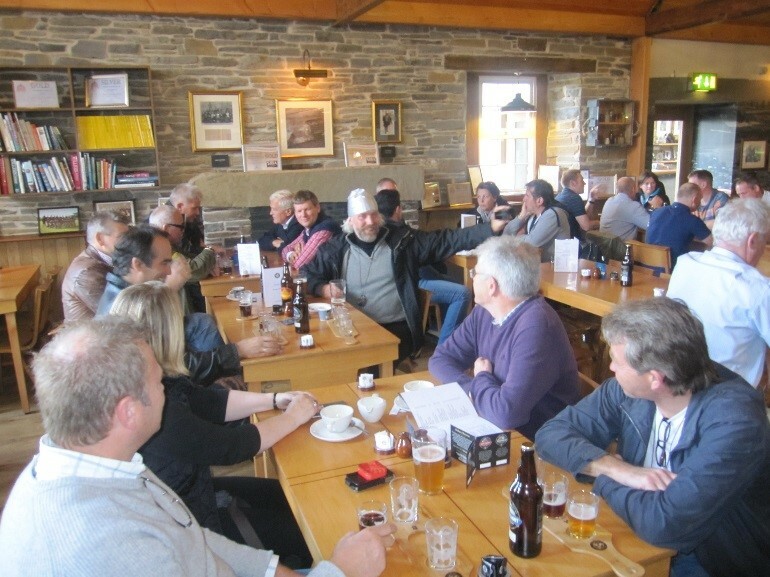 You will have the opportunity sample our food and drink on this tour and taste of Orkney. With an evening meal prepared at The Lynnfield Hotel by skilled chefs who transform our traditional produce into a gourmet experience in Orkney. 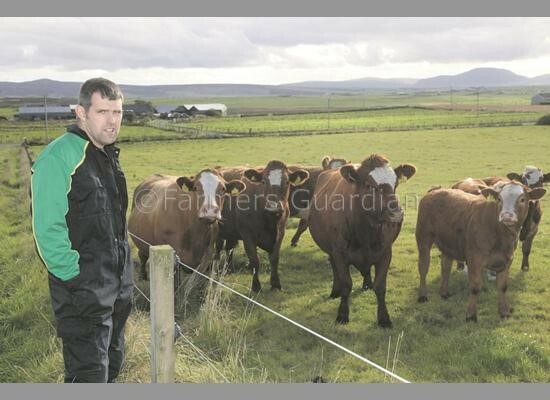 Orkney Monitor farmer Stephen Sandison farms with his wife, Lorraine, at Millburn, Harray. The unit takes in 330 acres, 230 of which are owned and 100 acres on seasonal lets. Spring barley is grown on 30 acres and the remainder is in grass). He runs 110 Simmental and Saler cross cows with Charolais bulls. Stephens family are all farmers and he started farming in his own right in 2003. Thorfinn's father Eddie started the business and his reputation as one of Orkney's most skilled butchers quickly grew. 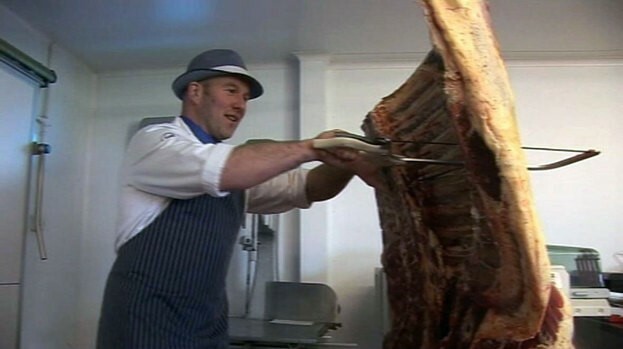 In 1995 Eddie retired and Thorfinn and his wife Katherine took over the running of the business and built on the success and reputation of Eddie to make ER &T Craigie one of Orkney's biggest wholesale suppliers of meat produce. Regulations governing traceability mean Thorfinn knows exactly where every single piece of meat originates, some from farms less than a mile from his premises. Founded by William Jolly almost sixty years ago, this thriving fishmonger is now run by George and Anne Stout, and sells a huge range of local fish and shellfish. A traditional kiln forms the centre of the processing area and is used to smoke salmon, kippers and mackerel. 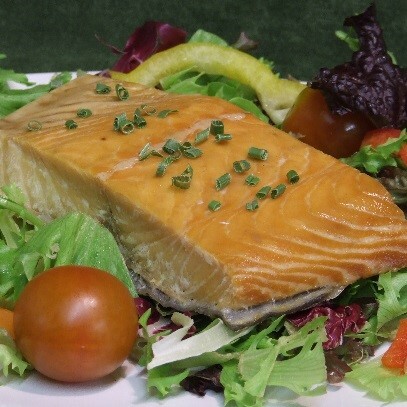 The smoked salmon (organic and conventional) is traditionally brined using salt and sugar then cold smoked over an oak wood fire before being sliced by hand, and kippers and mackerel are smoked over oak dust in the kiln. Jolly's also produce salted fish using two different methods, both of which have been used in the area for thousands of years. Herring is salted in layers in barrels, while other fish such as ling is salted on a brining table then air dried. Orkney Wine Company produce traditional fruit wines and liqueurs. We believe in doing everything as naturally as possible, allowing us to produce healthy sulphur free wines that are full of anti-oxidants. All our wines are suitable for vegetarians. It all started as a hobby for Emile van Schayk after he was given a recipe by Sarah Leneghan, a retired shepherdess in Stranraer, in 1997. He had so many ideas for different recipes, using many different ingredients, the number of demi-johns bubbling away in the house increased rapidly. Two years later the van Schayk family moved to Orkney. Emile entered the local Homebrew and Wine competition, and won two years in a row. It was this and popular demand that encouraged Emile to turn his hobby into a business. The Orkney brewery is housed in the former schoolhouse in Quoyloo 1 mile from Skara Brae in the heart of Neolithic Orkney. The unrushed culture with its traditional values influences the way we make our beer. We give undivided attention to each stage of the brewing process to ensure that our beer reaches you in perfect condition. This timeless approach has helped us win many national and international awards for both our cask and bottled beers which we hope you will enjoy. The Tasting Hall café is situated in the classroom of the old school house which is now home to Orkney Brewery and has many old artefacts from by gone days on display. It serves an interesting selection of hot and cold snacks, home bakes and coffees to compliment a well-stocked bar and our famous beers. Highland Park is made today with the same enduring belief and integrity, to the same exacting standards as it has been since 1798. 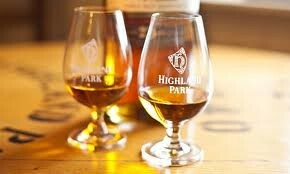 The established attitude at Highland Park is one of custodianship rather than management of tradition rather than novelty. That’s not to say the distillery is stuck in the mud, far from it but innovation is only used when there is a genuine benefit to the whisky not as is often the way, a benefit to efficiency or profitability. Since being named The Best Spirit in the World (three times), we have also received World’s Best Single Malt** for Highland Park 21 years old and the Ultimate Spirit in 2013 for Highland Park 25 years old. This is the first time a spirit has been awarded a full 100 point score in the Ultimate Spirits Challenge. The rich, succulent, complexity of this exceptional single malt inspires passion in single malt enthusiasts everywhere. It has balance, character and provenance and, in that, epitomises all that is great about single malt Scotch whisky. The present Mill was built in 1873, and has changed little since. Remains of older mills are adjacent awaiting restoration. Like most northern mills of this period, a kiln for drying the grain is integral with the building. Unusually however, the grain, or corn, ground here is bere, an ancient form of barley which is tolerant of the cool temperatures and short growing season of Orkney. 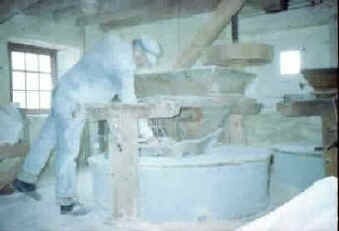 Grinding is done in the winter; during summer, the Mill is open to the public and the running of the machinery is demonstrated by the miller. Meal is available for sale for home use and for commercial bakers. The "Barony" is an area of good farmland in the northwest corner of Birsay near the Earl's Palace. The land here has been a prime estate of the rulers of Orkney since medieval times, and probably Viking times and earlier. 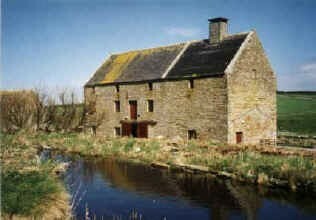 The original name of the Mill was Barony; in the 1980s the Mill was called Boardhouse, a name that still occurs in the older guide books. Orkney Auction Mart Ltd was formed in 1993 on the amalgamation of Kirkwall Auction Mart Ltd and West Mainland Mart Ltd. In 1996 the business opened a purpose built facility on the outskirts of Kirkwall. 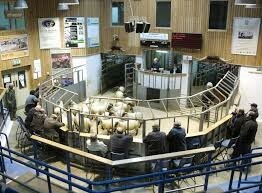 Orkney Auction Mart Ltd has approximately 1,300 members and sells around 18,000 cattle and 63,000 sheep each year. In January 2006, MALCOLM STOUT and LORNA REID moved from Cleaton House Hotel on the Orkney island of Westray, where they had successfully run their STB 4 star hotel for many years, and they now own the Lynnfield Hotel and Restaurant in Kirkwall. The view from the restaurant over the bay can be a distraction from the excellent menus, which change daily to accommodate deliveries of the fresh local ingredients. The Restaurant has a whisky theme to its décor, which is very apt since the hotel is very close to Highland Park distillery. The menus change daily according to what produce is available and in season, and whenever possible, locally sourced ingredients are used. A particular favourite is the Holmy Lamb, which comes roasted or in a stew. This lamb is raised on the holms near Westray and they feed on the seaweed as there is no grass to eat. This gives the meat its unique flavour. 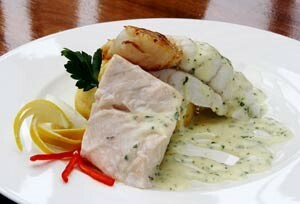 Of course, Orkney being a group of islands, it is rich in sea food. Many hours are spent by our chefs filleting the catch as soon as it comes home. It is possible that Malcolm can source a lobster from a local creel boat in the afternoon and have it ready for your evening meal. This has to be booked in advance.